A comfortable fit is everything when it comes to a great pair of headphones. Bose has mastered this concept, and with this countertop display we chose to highlight that. Intended to mimic the shape of an adult with headphones on, customers have the option to try the headphones on too. 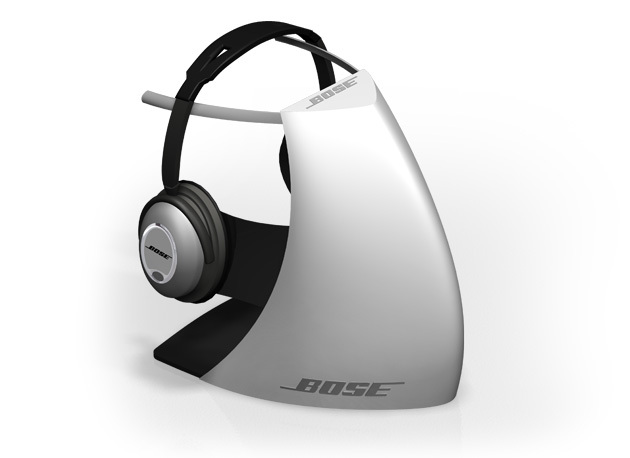 The only branding is a sleek low-profile Bose logo at the base of the display. Sound that fits just right. 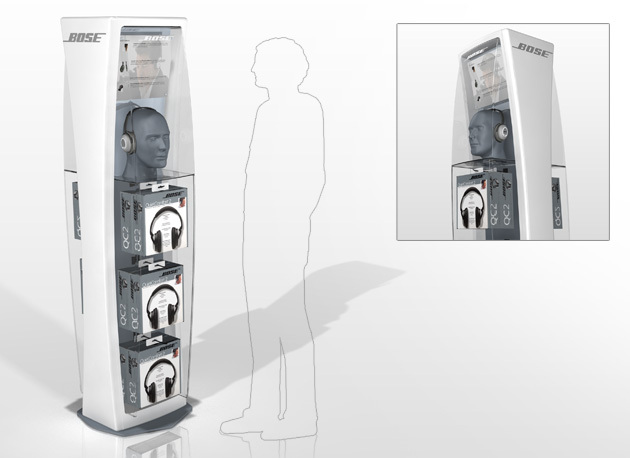 Continuing with Bose’s trademark aerodynamic product, this display is designed to take up minimal floor space while still standing out in a crowd of products and displays. An actual mannequin head modeling the headphones is the focal point of the display. Header graphics paint a better picture of the Bose advantage while hooks below allow for a number of styles to be showcased.